If you’re debating whether to buy or sell a home, the best financial choice will depend on the home value forecast in your state. In most cases, home values are expected to rise this, which makes for a good sellers’ market. However, values are expected to rise at a greater rate in some states than others. But in three places, the home prices are expected to decline, which means next year will be a good time to buy a home, but not a good time to sell. 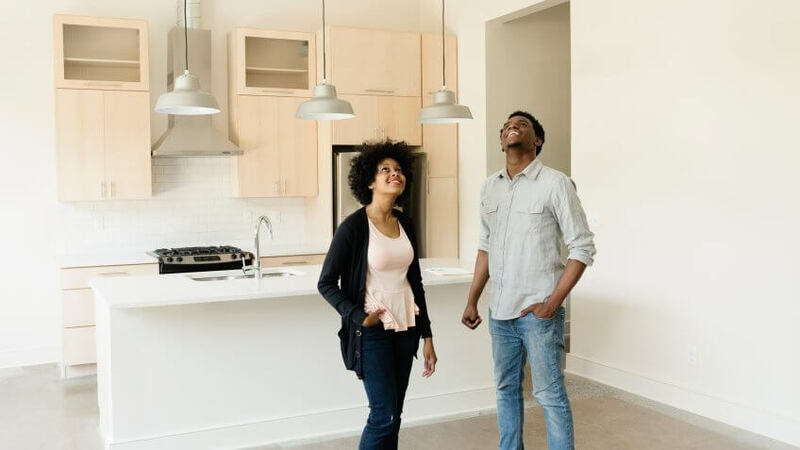 Before you decide to buy or sell, make sure you know how the home prices by state are expected to change and if your home is in one of the states where homes are becoming more valuable. Home values are only expected to rise 0.6 percent in Alabama from 2018 to 2019. Of the states where values are rising, Alabama has the second-lowest expected percent increase in value. It’s projected that Alabama will have the third-lowest median home value of all the states in September 2019. Bad news for homeowners in Alaska: Home values here are expected to take the biggest plunge of all the states, decreasing 3.2 percent. It’s one of only three states where home values are expected to decrease from 2018 to 2019. The median home value in Arizona is $244,600. Values are expected to rise 3.8 percent over the next year. The median home value in Arkansas is expected to rise 8.3 percent by September 2019 — the fifth-largest percent increase of all the states. Despite the large increase, the state is still predicted to have the fifth-lowest median home value in 2019. Home values are expected to rise 8.3 percent in California over the next year. The Golden State is tied with Arkansas for the fifth-largest percent increase in home values of all the states, and it also has the greatest actual value increase of all the states with an over $45,000 rise. It’s projected to have the second-most expensive homes in the U.S. in 2019, beating out Washington, D.C., which is in the No. 2 spot for 2018. California is home to four of the top 10 cities where home prices are skyrocketing, a separate GOBankingRates study found. The median home value is expected to rise from $368,100 to over $400,000 from 2018 to 2019 in Colorado. The 9.2 percent increase is the second-largest value increase of all the states, and $33,735 is the fourth-greatest actual rise in value. The state is expected to have the fifth-highest median home value in the U.S. in 2019. The median home value in Connecticut is expected to rise 3.9 percent from 2018 to 2019. The state’s median home value is currently $241,800. The median home value in Delaware is $232,100, and it’s expected to rise 5.3 percent over the next year. Homes in Washington, D.C., are expensive — they are the second-most expensive now, and are projected to be the third-most expensive in 2019 — but values are evening out. The median home value is expected to increase just 1.9 percent over the next year, which is the ninth-smallest percent increase among states where the values are rising. See: What a Million-Dollar Home Looks Like in the Most and Least Expensive Cities in the U.S. The median home value in Florida is $227,800. That value is expected to rise 5.4 percent by September 2019. Georgia’s median home value is $179,200. That’s expected to rise 7.7 percent over the next year, which is the seventh-largest percent increase of all the states. Median home values in Hawaii are expected to increase over $32,000 over the next year — the fifth-largest increase in value of all the states. Hawaii is projected to have the highest median home value of all the states in 2019. Hawaii is already one of the least affordable states for millennials to buy homes, a separate GOBankingRates study found. Home values in Idaho are expected to rise 2.6 percent from 2018 to 2019. That’s the 10th-smallest percent increase among the states where home values are rising. The average home in Illinois is worth $176,800, and that value is expected to rise 5.2 percent by September 2019. The expected median home value in Indiana for September 2019 is the eighth lowest of all the states. The median home value is currently the eighth lowest as well at $137,300. Home values are declining in Iowa — but not by much. There’s expected to be a 0.5 percent drop in values from 2018 to 2019. It’s one of only three states where values are decreasing. The median home value in Iowa is expected to be the sixth lowest of all the states in 2019. This could be good news for buyers, but before you make an offer, consider the best place to buy a home in the state. The expected median home value for September 2019 in Kansas is the seventh lowest of all the states. At $136,800, it’s currently the seventh lowest as well. In Kentucky, the expected median home value for September 2019 is the 10th lowest of all the states. It currently has the 10th-lowest median home value at $141,600. Of the states where home values are increasing, Louisiana is expected to see the smallest percent increase of all the states: 0.5 percent. The current median home value in the state is $146,100. The average home in Maine will rise in value from $228,400 to nearly $250,000 from 2018 to 2019. The 9.1 percent value increase is the third largest of all the states, and $20,698 is the ninth-highest change in terms of dollars of all the states. The median home value in Maryland is expected to rise 5 percent over the next year. It’s currently $285,400. Home values in Massachusetts are rising rapidly, with an expected 9.1 percent increase from 2018 to 2019 — tied with Maine for the third-largest percent increase of all the states. It’s also expected to have the third-largest monetary increase in median value of all the states. Massachusetts is projected to have the fourth-highest median home value in the U.S. next year. Home values in Michigan are expected to rise 8.5 percent from 2018 to 2019 — the fourth-largest percent increase of all the states. In Minnesota, home values are expected to rise 8.5 percent from 2018 to 2019 — tied with Michigan for the fourth-largest percent increase of all the states. The September 2019 expected median home value in Mississippi is the fourth lowest of all the states. It currently has the fourth-lowest median home value at $123,200. Missouri’s median home value is $155,700, and the value is expected to rise 6 percent over the next year. In Montana, home values are expected to rise 1.6 percent over the next year — the seventh-smallest percent increase of all the states where home values are rising. Home values in Nebraska are expected to rise 1.7 percent over the next year — the eighth-lowest percent increase of all the states where values are rising. Home values in Nevada are expected to rise 14.4 percent between 2018 and 2019 — the largest percent increase of all the states. And $40,814 is the second-greatest change in value of all the states. Nevada is expected to have the 10th-highest median home value in the U.S. next year. The median home value is expected to increase by 5.7 percent in New Hampshire over the next year. It’s currently $270,200. Home values in New Jersey are expected to rise 6.8 percent over the course of the year — the ninth-largest percent increase of all the states. The state is also expected to have the eighth-largest rise in median home values of all the states in terms of dollar amount, and is expected to have the eighth-highest median home value in the U.S. overall in 2019. The median home value in New Mexico is expected to rise 1.3 percent from 2018 to 2019. Of the states where home values are rising, it’s the sixth-smallest percent change. The median home value in New York is $283,800. That number is expected to rise 4.4 percent from 2018 to 2019. North Carolina is tied with Nebraska for the eighth-smallest expected percent increase in median home value over the next year: 1.7 percent. The median home value in North Dakota is expected to rise 3 percent from 2018 to 2019, from $203,300 to $209,319. With a relatively low value increase, North Dakota is one of the worst states to make a profit on your home, a separate GOBankingRates study found. In Ohio, the projected median home value for September 2019 is the ninth lowest of all the states. The median home value is currently the sixth lowest at $135,800. The expected 2019 median home value in Oklahoma is the second lowest of all the states. The median home value in the state is currently $120,600, which is the second lowest in the U.S.
You can always build your own home, too: Oklahoma is the cheapest state to build a house, according to a separate GOBankingRates study. Home values are only expected to rise 1.1 percent over the next year in Oregon — the fifth-smallest percent increase of all the states where home values are rising. However, the state is still expected to have the ninth-highest median home value of all the states in 2019. The median home value in Pennsylvania is $170,500. Values are expected to be 5.3 percent higher one year from now. The median home value in Rhode Island is expected to rise 7.3 percent from 2018 to 2019 — the eighth-largest percent increase in home value of all the states. And $20,229 is the 10th-largest monetary rise in median home values of all the states. A home in South Carolina is a good investment: Home values are expected to rise 6.6 percent over the next year, which is the 10th-largest percent increase of all the states. The median home value in South Dakota is expected to rise 4.4 percent from 2018 to 2019, from $183,200 to $191,224. Tennessee homes are expected to rise 5.7 percent in value over the next year. The median home value in the state is currently $162,000. The median home value in Texas is $188,700, and that value is expected to be 3.8 percent higher one year from now. Home values in Utah are expected to rise 7.8 percent over the next year — the sixth-largest percent increase of all the states. And $25,011 is also the sixth-largest actual value increase in median home value of all the states. The state is expected to have the seventh-highest median home value in the U.S. in 2019. Home values in Vermont are only expected to rise 0.7 percent from 2018 to 2019. That’s the third-smallest expected increase of all the states where home values are rising. The median home value in Virginia is $252,900, and it’s expected to rise 3 percent over the next year. Median home values in Washington are expected to rise by the seventh-largest amount of all the states. The state is expected to have the sixth-highest median home value in the U.S. in 2019. The median home value in West Virginia is $96,800, and it’s only expected to rise 1 percent over the next year. Of all the states where home prices are rising, West Virginia has the fourth-smallest expected percent increase. It’s also expected to have the lowest median home value of all the states next year. Even though homes in West Virginia are affordable, keep in mind that how much home you can buy in any state depends on your income. The median home value in Wisconsin is $181,800. That value is expected to rise 3.2 percent from 2018 to 2019. Along with Alaska and Iowa, Wyoming is one of only three states where home values are expected to drop from 2018 to 2019. Values are expected to decline 0.4 percent, which could make it an appealing state for buyers. Click through to read more about the best and worst states for first-time homebuyers. Methodology: GOBankingRates found what home values will be one year from now in every state by looking at home values from September 2018 and using Zillow’s forecast tool to predict the increase/decrease in home value in every state. The main factors were: (1) the percentage increase for one year, (2) the amount the home value is expected to increase by and (3) what the home value will be in September 2019. GOBankingRates used the median home value instead of median listing price because it takes more factors into account, such as comparable home sales and inspections. Median home value is an estimate of what the property is actually worth, while median listing price may be lower or higher than the home value, depending on the price that the listing agent chooses to list the property at and depending on how high the demand is for that given home. *Home valuation is Zillow’s estimated market value, computed using a proprietary formula. It is not an appraisal. It is a starting point in determining a home’s value. The Zestimate is calculated from public and user-submitted data, taking into account special features, location and market conditions. To find home values, proprietary automated valuation models that apply advanced algorithms to analyze the data to identify relationships within a specific geographic area, between this home-related data and actual sales prices. Home characteristics, such as square footage, location or the number of bathrooms, are given different weights according to their influence on home sale prices in each specific geography over a specific period of time, resulting in a set of valuation rules, or models that are applied to generate each home’s value. You could've made six figures or more on real estate.